One of our favorite parts of our job is when a client discovers a stone floor hidden under another floor. Recently, we had a homeowner in Worcester decide it was time to pull up her laminate flooring to see what was underneath. 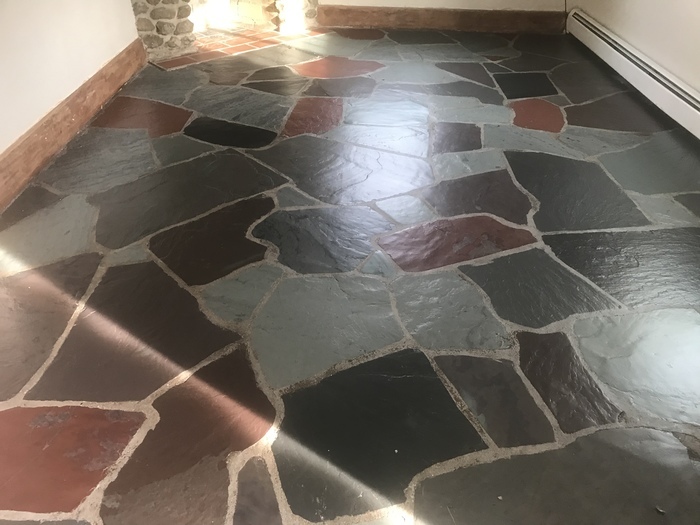 Once the laminate was removed, she found beautiful flagstone covering her family room and hallway floors. Her excitement was through the roof, but there was still another obstacle in her way as the floor was very dirty and covered with adhesive from the laminate floor. 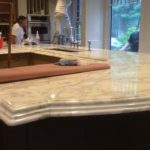 It is important to know how to remove what is on the stone without damaging it so, she contacted the professionals here at Boston Stone and Paul went in to do a small test area. 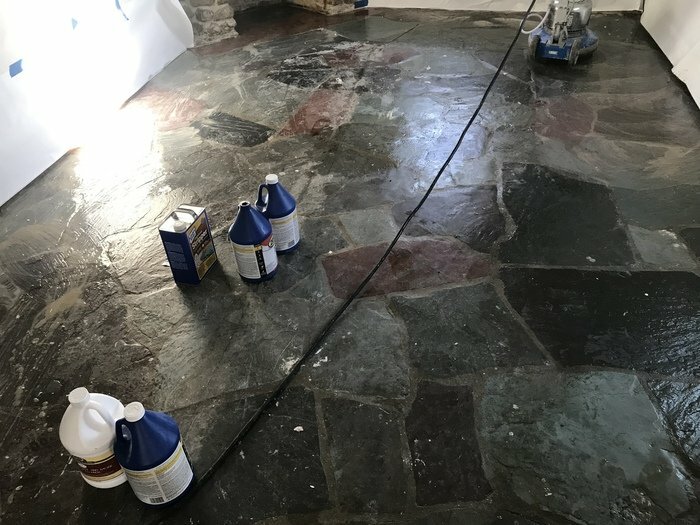 The flagstone passed the test with flying colors and we were hired to strip and restore the whole floor by carefully using a heavy duty stripper on the adhesive. After the adhesive was completely removed, we were able to clean and seal the floor to restore it’s shine which thrilled the customer and our team! 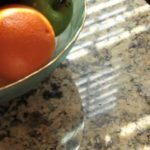 Before listing your house, spruce up the stone!